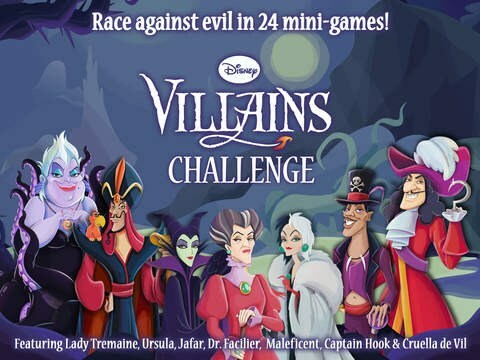 • Race against evil in fast and fun mini-games featuring Maleficent, Cruella de Vil, and Captain Hook! 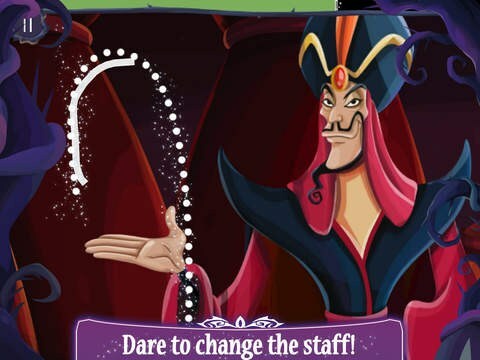 • Tap, swipe, and shake as fast as you can to spread happiness! 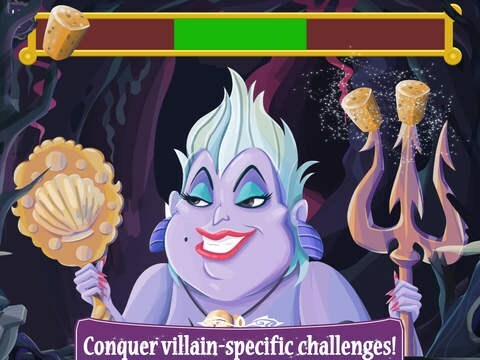 • Test your reflexes and resolve with 5 levels of villainy! 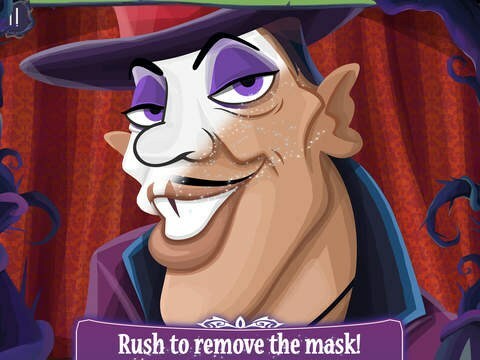 • 6 games included in the free download! 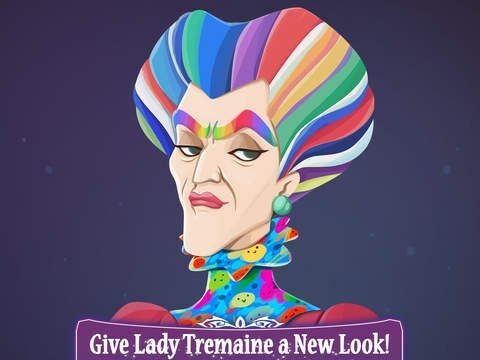 • A single in app purchase unlocks all 18 games!